for tuesday, me and angie went KBOX. wednesday, me and chinhao went for interview and then i met tw for dinner. and TODAY, i wan to stay at home. i really hope i can get tt job. so i can buy my V3i. HAHAHA. NOT V3 OR V3x BUT V3i !!! i dunch know why. i suddenly like tt phone. but everyone ish telling me it's not good. I KNOW! and i've got so much thingy to buy. argg. to those who hate small kids. cause they are so cute. 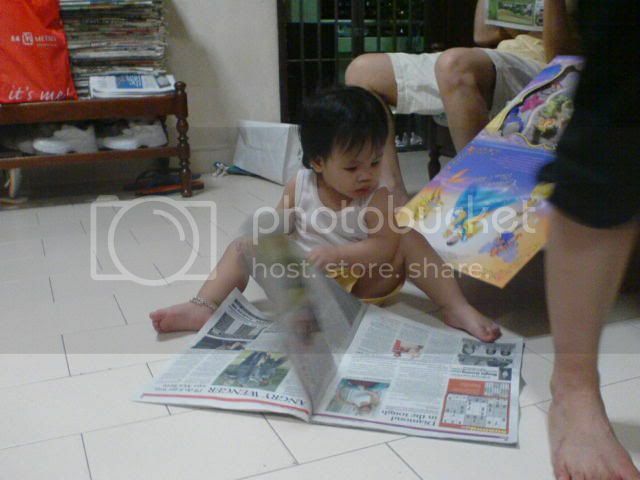 we were at our grandma house. 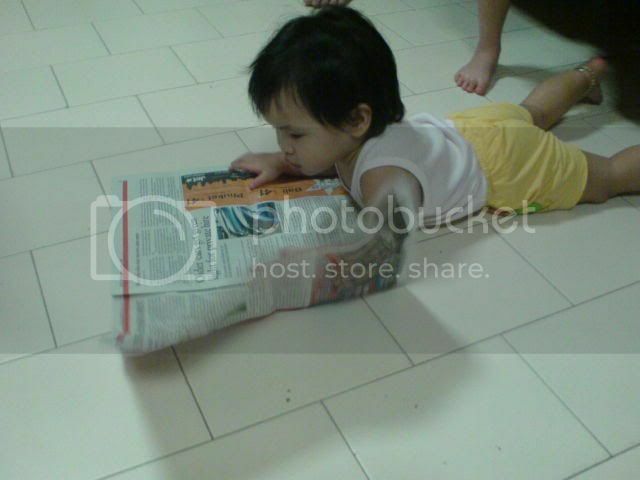 she lie down on da floor and continue reading da newspaper. 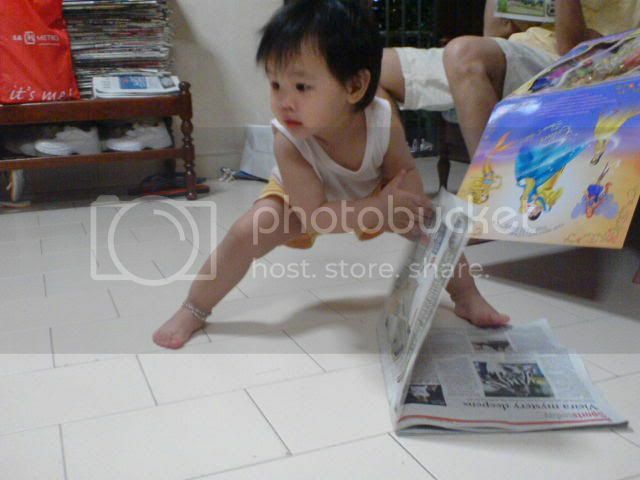 she got up quickly and close da newspaper. 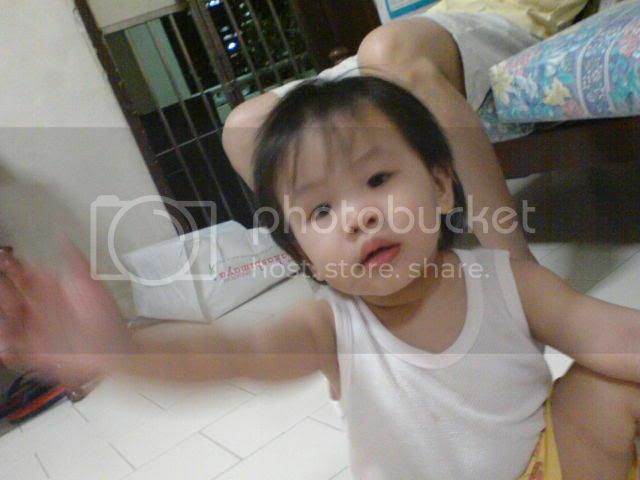 trying to stop us frm taking her cute little pictures. she's like super duper cute. hahahaha. i hab fun toking on phone with some animals for da past four days. and smile pasta ish damn nice can! super super duper! hope everyone feels happy and happy ! !